Gruntz is at the Salute wargames show this coming Saturday 21st April 2012. I am down by the Bring and Buy, so you can't miss us. Doors open at 10am at the Excel centre in London's Docklands. There are loads of parking options and easy access from the DLR. I might also find myself having to dive into the Bring and Buy if I spot a bargain! This photo is of one of the 3 terrain layouts I am taking. 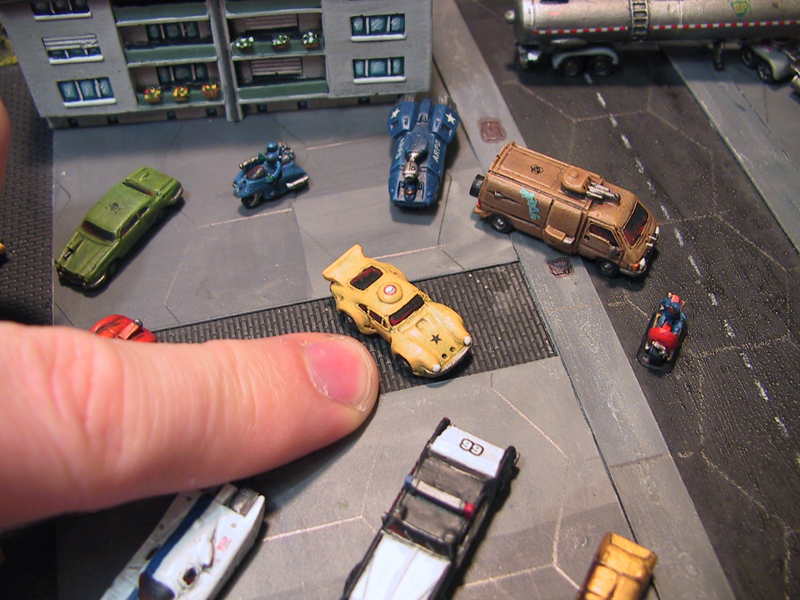 They are all very small 3x3ft and designed to give poeple a chance to play the game and get straight into the action. I was lucky to have some spare drop-on terrain sections created by SpaceJacker from Tiny Solitary Soldiers. 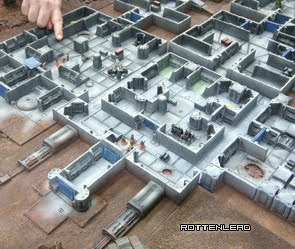 They have had their bases re-painted for the desert terrain and will feature with the launch pad from Games Workshop as shown. My stand number for the game is GJ18. If you don't have time to play, please still pop by and say hello. It's been fun watching these boards come together. They look great. Good luck at Salute! Looks fantastic, i'll deffo pop by and say hi. This will be my first time at salute can't wait. Thanks for the comments. See you there! I really wanted to attend saulte, but its my leaving the UK party the same day unfortunately. Glad to know my little terrain bits will get gamed with in the big hall though, I wish you the best of luck on the day!